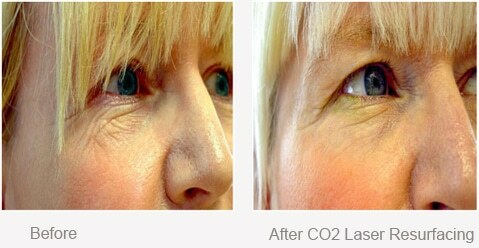 The eye area is usually one of the first to show signs of ageing, but most people do not want to consider eye surgery. Dr. Sagoo offers a whole range of treatments that may improve the eye area, using the latest laser technology and non surgical cosmetic treatments and above all combining his years of experience as a cosmetic doctor. Changes around the eye area can be due to genetic or external factors that damage the makeup of the skin around the eye (such as smoking, sun damage, hay fever). These changes can lead to breakdown of collagen and elastic cells, leading to skin laxity and fine lines around the eye area. Volume loss of tissue and bulging under eye bags may lead to hollows under the eye as well as pigment changes and dark circles. Over activity of facial expressions can lead to muscle weakness and development of laughter lines or crow’s feet and frown lines. The areas of the face which show our age the most are the peri-ocular (around the eyes) and peri-orbital areas (around the lips). The eye peel is a gel-based skin remodelling solution that is especially designed for these sensitive areas including darker skin types . 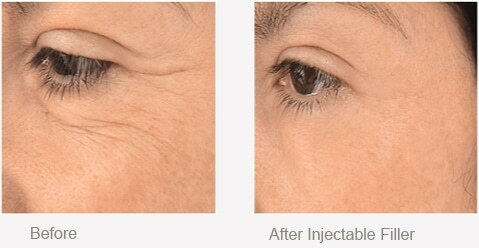 The eye and lip peel is a gel-based skin remodeling solution especially designed to target around the eye and lip area. 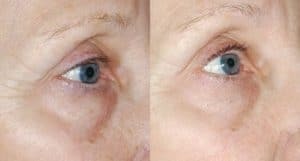 It targets Fine Lines close to the eye, Crows Feet – which we all know and hate, pigmentation build up below and eye or on the eye lid, Eye Peel is a noninvasive and trouble free treatment has little to no downtime, which essentially means you are free to carry on with your daily routine without having to hide away. You can even fit a treatment in during lunchtime. All of the above are offered by Dr Sagoo with several years of experience in treating around the eye area having treated hundreds of clients. Dr. Sagoo can assess the eye area and identify what treatments are required. If eye surgery is required Dr. Sagoo works closely with a leading eye surgeon to offer the complete package.